I have never been into diets. I find the more I think about not eating chocolate, well, the more I want to eat chocolate…or chips…or cake. Mmm cake. So indulging in a handful of chips or a few ounces of chocolate satisfies my craving more than eating everything else in sight that isn’t those things. My one mantra about what I eat is: Eat Real Food. What does that mean? Well, I think of it as leaving out the processed stuff, the frozen salty meal stuff, and eating more food that I cook instead of food that someone in a restaurant kitchen cooks. Now trust me, it doesn’t happen all the time for me either. But instead of keeping all of those diet rules straight in my head or trying to remember how many servings of vegetables I’m supposed to have on the daily, and for that matter what a serving is, just remembering to eat real food makes it much easier to decide on food options. So this is the point where I admit that I am a member of the Michael Pollan fan club. And while I can’t say I agree with every point he has ever made, what I have distilled down from his many books is that eating real food is the most natural and healthy way a human can eat. And that eating real food in no way has to be boring or flavorless. In fact, when prepping our own food, experimenting with new spices and techniques is all part of the fun, so here is some Pollan wisdom that I keep in mind to help guide me to being a real food eater. Five Ingredients. Take a quick glance at the ingredient list: does your potential purchase have more than 5 ingredients? Does it have multiple ingredients that you can’t pronounce? If so, that probably means the food has additional additives. 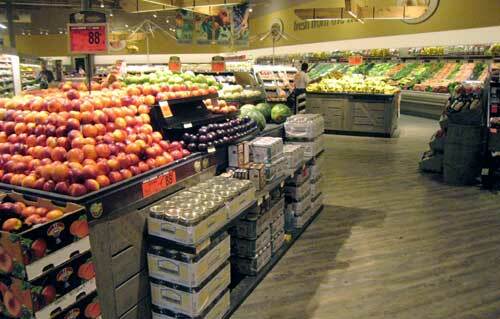 While some additives are okay because they keep our food fresh and do little harm, perishable foods (i.e. things that actually rot) are usually the best way to go. Shop the perimeter. This was a simple and alarming realization the first time I heard it. Real food tends to be stocked around the perimeter of the grocery store: fruits and vegetables, dairy, eggs, meat and fish. Therefore, if you do the majority of your shopping around the perimeter and only venture down the aisles for an item here and there (canned beans are an easy, affordable protein option, for example), you’re doing great. Food Commercials. Stay away from food you see in commercials. More than two thirds of food advertising is spent promoting processed foods, so if you avoid those products, that’s an easy guide to avoiding “food-like” substances and eating real food. Eat When You’re Hungry. I know, who would have thought this needed to be said, but many of us eat when we’re bored, stressed, anxious, as a reward, or because food is just in front of us. Before you put food into your mouth, ask yourself if you are actually hungry, like in your abdominal area. Not in your head. You may just be avoiding studying for a mid-term or might actually be thirsty and need to drink some water. If you are hungry that means your body is looking for sustenance. As the old saying goes, if you’re not hungry enough to eat an apple, you’re not hungry. Eat Homemade Food. This is probably the hardest guideline, but I still like it. It doesn’t deprive you of anything, but particularly eating sweets or treats that were made at home not only naturally limits how often you eat them (think prep time and clean up) but you will also know exactly what ingredients are in them. Source: Many of these tidbits are from Michael Pollan’s Food Rules. Image from coachwoot.com. This book looks so fun. I’m putting it on my list. Thanks for the recommendation!